You will also have the opportunity to have a corporate headshot taken (included with workshop fees) and directly apply the skills you&apos;ve acquired onto YOUR LinkedIn profile. Craig is LinkedIn user 3,956 of over 400 million users. He has almost 22,000 first degree connections and has over 9,000 endorsements on LinkedIn. 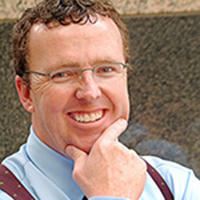 He is also the author of the award-winning sales book, “SHiFT! Harness the Trigger Events that TURN PROSPECTS INTO CUSTOMERS”, a contributing author to the #1 Selling Book on both Amazon and The Wall Street Journal, “Masters of Sales”, a National Growth Advisor for the Goldman Sachs 10,000 Small Business Program and the Entrepreneur-in-Residence at Bow Valley College.